Mrs. Sandhini T J holds a B.Tech degree from Kerala University .She has received her M.Tech from College of engineering Trivandrum. She has two years work experience in industries like VSSC, tvm and Private electrical Consultancy firm. She has presented and published in both national and international level conferences. She has more than 10 years experience in teaching engineering students. Ms. Lekshmi Krishnan J received her M.Tech degree in Power Systems under Mahatma Gandhi University and B.Tech degree in Electrical and Electronics Engineering from Saintgits College of Engineering, Kottayam, under Mahatma Gandhi University. 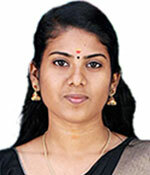 She got 3rd rank for M.Tech in Power Systems under mahatma Gandhi Unversity in 2011. She has over 8 years of teaching experience. She has worked as Lecturer in Caarmel college of Engineering, Pathanamthitta for 1.6 years. 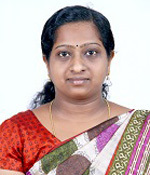 In 2011, she joined GISAT Engineering College, Kottayam as Assistant Professor. 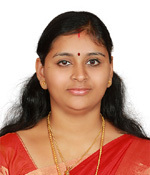 Since July 2013, she is working as Assistant Professor in Electrical and Electronics Engineering department at SNGIST College of Engineering, Ernakulam. She has attended various FDP, training programs, workshops and industries to improve her practical knowledge which helped her to attain best results. Her areas of interest in power system, control system, power Electronics. Over a period of time, she has taught various subjects including Power electronics, electric drives and control, basic electrical engineering, control systems, electronic circuits. Mr. Dhinu Lal M completed his B.Tech from Kerala University in Electrical & Electronics Engineering and after that joined in KSEB as HR Operator in contract basis for One & a Half Years. After that he went for M.Tech in Power Systems Engineering from Anna University, Chennai. 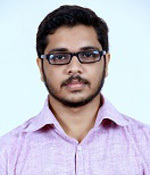 After his Masters he started his Teaching Career in 2012 on John Cox Memorial CSI Institute of Technology (JCMCSIIT), Trivandrum and in January 2013,he joined in SNGIST Group of Institutions as Assistant Professor in EEE Department to the till date. His main Area of Interest is on Electromagnetics and done a 6 month online course in Electromagnetics from NPTEL conducted by IIT Kanpur & NPTEL on the month of March 2015. Another area of interest is in FACTS & Power Quality. He was invited as ‘Subject Expert’ to have a Five Day Interactive Session on “Applied Electromagnetic Theory” with Fifth Semester & Seventh Semester students of ECE Department in Vijnan Institute of Science & Technology (VISAT) on 2014 & 2015. 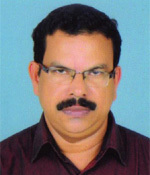 He was also a member of Syllabus Revision Committee of KTU for the subject Circuits & Network. Saying about his Career Achievements, He is selected and awarded as “Best Institutional Knowledge Officer (IKO) – Central Zone of the year 2015” by ICT Academy of Kerala. He coordinate the activities of ICTAK in the campus. He got appreciation and token of gratitude from college management for producing ‘Best Results’ in 2017. He successfully charged as ‘Department Coordinator’ of National Level Tech Festival of college in 2013 & 2016. Also he was the ‘House Captain’ of Annual Sports & Arts meet of 2016 and his House won ‘Runners Up”. He is in ‘Admission Committee’ and plays a key role in the admissions. He is the ‘Engineering Department Coordinator’ of “Unio – the Official College App”. 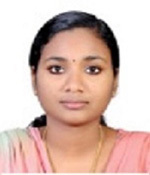 Ms. Ancy Rose Joseph completed her B.Tech in Electrical & Electronics Engineering under Mahatma Gandhi University and M.E in Electrical Engineering with specialization in Power Electronics and Drives from Anna University. She started her career as lecturer at SNGIST college of Engineering in June 2011. Since June 2015, she is working as Assistant Professor at SNGIST college of Engineering. She has teaching experience of 6.5 years. Over a period of time, she has taught various subjects including Power electronics, electric drives and control, basic electrical engineering, electrical machines. Mr. Maneesh M S completed his B.Tech in Electrical and Electronics Engineering from CUSAT and M.Tech in Power Electronics & Drives from University of Calicut. He began his career as Assistant Professor in Department of Electrical & Electronics Engineering at SNGIST Group of Institutions on 2013. He has successfully completed a 6 month NPTEL online course on Electromagnetics conducted by IIT Kanpur during the year 2015.He has also attained a short term training from PETARC during the year 2015.He has attended many conferences, workshops and several industry interactions for enrichment, which helped him to attain best results. He has interests in Power Electronics, Power Systems, Arduino programing and related projects. 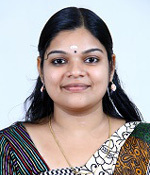 Ms Rakhi Gopinath have obtained her M.Tech in Control and Instrumentation from Karunya University Coimbatore in the year 2013 and her B Tech in Electrical and Electronics from SBCE, Kerala University in the year 2011. She joined SNGIST as Assistant Professor in the year 2013. She has organized and conducted International level seminars/workshops. Her main areas of Interests are Fractional order controllers and Non Linear systems. She has acquired University second rank for M.tech in Control and Instrumentation. She has attended many International and National seminars and published papers titled ‘Design of Fractional Order Controllers for First Order Plus Time Delay Systems ‘ in International Journal of Computer Applications. She was presented with a token of Appreciation by the Institution for her results in 2017. 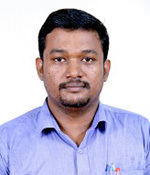 Mr. Jibin George completed his B.Tech in Electrical & Electronics Engineering in 2009 and M.Tech in Electrical Engineering with specialization in Power Electronics and Power Systems under Mahatma Gandhi University in 2013. He started his career as Assistant Professor at SNGIST college of Engineering. He has teaching experience of 4 years and 4 years of industrial experience. Over a period of time, he has taught various subjects including Power electronics, networks, electric drives and control, basic electrical engineering. He is currently pursuing his PhD at APJ Abdul Kalam Technological University. His research interests include power converters. He had published research papers in one international journal, four IEEE international conferences and for two national conferences. 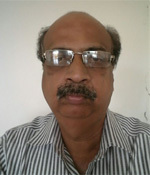 He is the certified reviewer of International Transactions on Electrical Energy Systems. 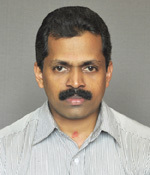 Mr. Sreekumar A.V. holds M-Tech degree in Power and Energy Engineering from Amrita Vishwa Vidyapeetham, Amritapuri in 2014.He completed his B-Tech from MET’S school of engineering Mala in electrical and electronics engineering. He has more than 4 years of teaching experience and 5 months industrial experience. He published 3 papers in international journals in solar photo-voltaic. His research interests are Power Electronics and Renewable energy. Currently holds the post of electrical department placement coordinator. He received the B.Tech. Degree in electrical & electronics engineering from the Mangalam College of Engineering, Ettumanoor, Kerala, India, in 2010. He took M.Tech. Degree in Power Electronics from the Sree Narayana Gurukulam College of Engineering, Kadayiruppu, Kerala, India, in 2014. 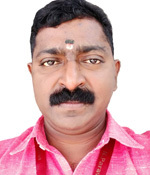 He joined as the Assistant professor at Sree Narayana Guru Institute of Science and Technology, Manjaly, in 2014. He also worked as coordinator of ASAP and conducted Wireman-control panel course for which he got 100% result. He was the placement coordinator of electrical and electronics department during the period 2014-2016. 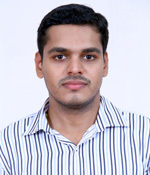 He is currently pursuing PhD from Government Engineering College, Thrissur, Kerala. His research interests include power converters, motor drives. He had published research papers in four international conferences and for two national conferences. He had reviewed research papers for three international conferences. 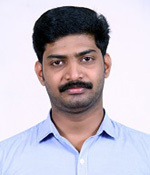 Mr. Nithin P N holds M-Tech degree in Power Electronics and Power Systems in 2014 and completed his B-Tech under Mahatma Gandhi University in 2012. He has presented in international conference organized by institute of research and journal and won the best paper award. 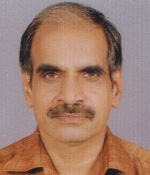 He also published papers in international journals like international journals of modern engineering research (IJMER). He also worked as co-ordinator of ASAP and the Programme officer of NSS during the period 2014-2016. He organized various events in the college like NSS 7 day camp and other social events. He had a member participant in SAGY( SANSAD ADARSH GRAMA YOJANA), a joint venture of AICTE and Central government which emphasis on village development. He attended master trainers workshop organized by AICTE at Sree Budha College of Engineering. He has one of the team member of college placement cell and also served as department placement co-ordinator. He also serves as an active member in college admission cell and participated in major events like “Ask Experts” hosted in Kochi and Calicut. Mrs. Aparna A. holds M-Tech degree in Industrial Drives & Control from Rajiv Gandhi Institute of Technology (GEC) , Kottayam in 2014.She completed her B-Tech Degree from Govt. Engineering College , Idukki in electrical and electronics engineering. She has 4 years of Industrial experience and 4 months teaching experience. She published one paper in international journal about DTC of PMSM. Currently works as Asst. Professor (Guest) ,electrical department, SNGIST . 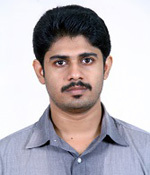 Mr. Nithin Itteera holds M-Tech degree in Industrial Drives &amp;Control from Govt. Rajiv Gandhi Institute of Technology (GEC), Kottayam in 2013. He completed his B-Tech Degree from Adi Shankara Institute of Engineering &amp; Technology, Kalady in Electrical and Electronics engineering. He has 2.7 years of teaching experience at Holy Grace Academy of Engineering and 1.5 years of industrial experience as R&amp;D Engineer, Pamba Electronics. 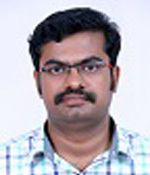 He published one paper in IEEE Indicon-2013, IIT Bombay, regarding rotor position estimation of Switched Reluctance Motor. His research interests are Drives, Control systems, Embedded systems. Mrs. Aparna A. holds M-Tech degree in Power systems from Thejus Engineering College,Vellarakkad in 2017.She completed her B-Tech Degree from S.N.M Institute of management and Technology in electrical and electronics engineering. She has 1 years of teaching experience. She published one paper in international journal about An adaptive modified hysteresis current controlled grid connected pv inverter. Currently works as Asst. Professor (Guest) ,electrical department, SNGIST . Working as a Service Technician (Inverter, T V etc.) in Star Industries- (7 1/2 Years). Working as a Tradesman in ECE Dept. at SNM Institute of Management and Technology Maliankara – (8 1/2 Years). Working as a TECHNICAL ASSISTANT in Sophisticated Test and Instrumentation Centre, CUSAT, Kalamassery- (21/2 Years). Working as a Lab Instructor in EEE Dept. at SNGIST Manjaly from 30/07/2015 till continuing (2 Years).